Bradley S. Farrar has been practicing law for more than 13 years and has been serving the diverse real estate law needs of Shipley & Horne’s clients since 2012. Mr. Farrar holds a Juris Doctorate from The National Law Center at The George Washington University, and is admitted to practice before all Courts in the State of Maryland, as well as before the United States District Court of Maryland. Additionally, he frequently represents clients in proceedings in the United States Bankruptcy Court of Maryland. Mr. Farrar practices in administrative law, creditor’s rights, real estate, and property management law, including landlord-tenant, condominiums, and homeowner associations and housing discrimination. He represents owners and developers of residential and commercial rental units throughout Maryland and is experienced in drafting lease documents, including lease agreements, lease applications, security deposit disposition, and pet addenda. He is also well versed in ejectment proceedings, rent escrow actions, wrongful detainer actions, tenant holding over actions, breach of lease proceedings, collection of delinquent accounts from tenants, and housing discrimination defense work. Utilizing his vast experience in real estate law, Mr. Farrar frequently represents owners who utilize Low Income Housing Tax Credits (LIHTC) financing, and whose residents qualify for Housing Choice Vouchers (HCV). He has also advised Community Development Organizations (CDOs), Community Development Financial Institutions (CDFIs), and Community Development Entities (CDEs). Mr. Farrar is a nationally recognized expert amongst his peers regarding affordable housing programs and economic and community development and has more than 15 years of government, legal, and business experience. Mr. Farrar previously served as Deputy Director of a quasi-governmental redevelopment agency, where he was responsible for the development and asset management of several mixed-use housing developments totaling over $150 million. He also served as Deputy Director of a municipal government’s Department of Housing and Community Development where he was responsible for Rental Assistance Programs, Low-Income Housing Programs, and Community Development Block Grant Programs. Additionally, he has provided advice to the United States Treasury Community Development Financial Institutions Fund regarding its New Markets Tax Credit Program (NMTC), Financial Assistance Program and Technical Assistance Program (FA/TA). Mr. Farrar has also served as a financial and investment advisor to state government agencies, municipalities and housing authorities in the northwestern United States. An active member of the community, Mr. Farrar serves as a Property Owner’s representative on the City of College Park’s Rent Stabilization Board. 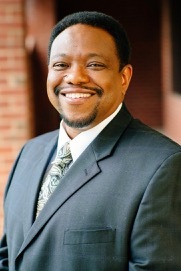 He is a member of the Maryland State Bar Association and the J. Franklyn Bourne Bar Association.